VRS Tech is redefined for delivering Unified Security Management in Dubai, UAE. The vast enhancement of IT Technology, the constant growth of various industries and a competitive environment is a sign of success in respective field. Even though, a determined nature of development is seen, we experience thorns in between. The complexities are to be faced both within and out of an enterprise. Inside complexities are the vulnerabilities and liabilities occur in the infrastructure. 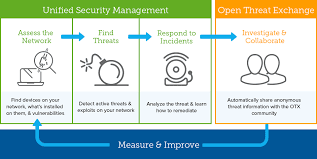 The IT infrastructure with uncountable projects, themes and networks connected relatively, have a scope to face severe network and security issues. VRS Tech is a challenging solution provider of security measures in Dubai, UAE. IT infrastructure requires an appropriate network, security servers such as Firewall, antivirus, encryptions and traffic detectors. Keeping an eye on infrastructure and data is must but in the same way knowing how to secure is much needed. UIA (User Identity and Authentication):Based on the user identity and authentication, user will be allowed to operate the system. Web and Content Filtering: A software security with respective to web content filters suspicious acts of virus that crashes system. It deletes spam content in web pages and filters spam material. Few more features such as IPS, Statefull Firewall, SSLVPN and IPSEC VPN, Wireless LAN controller, WAN optimization are also widely available at VRS Tech. Our wide range of operations of Unified Security Management solutions in Dubai, UAE correlate with our clients needs. We completely analyse your workspace and deliver perfect USM solutions accordingly. Right away from analyzing, quoting, implantation and after sales services are done with cost effective. Highly securable and apt solutions are provided by us. We are partnered with Fortinet, Cyberoam, Sonicwall and Watchguard, which are meant for providing adorable responsiveness with its high performance in security and network field. The potential way to defend viruses, worms, Trojans and suspectable breaches will be tracked based upon the enterprise network or organization infrastructure. All types of intrusions can be prevented by blocking all spams and faulty causes, in order to smooth the network system. We even provide solutions to homes offices or in person activities. 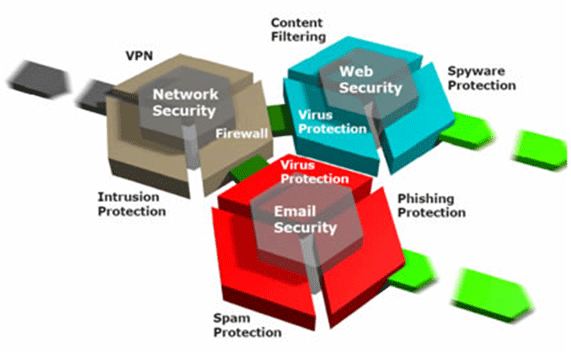 The upgraded UTM solutions can block even minute harmful virus, spam emails, messages or else simple data. Maintenance of Unified Security Management solutions is responsible of an organization, so that they build better productivity. These UTM solutions are highly responsive and avails an extreme armour protection to palsy functionalities performed by intruders. Every entrepreneur thinks to implement better infrastructure and be secured at all times. At VRS Technology, we serve our customers of Dubai, UAE with best Unified Security Management Solutions. We had a certified and qualified support team that actively participates in responding and delivering customer needs. Why should you choose us- VRS Tech? Our client’s satisfaction is our asset and so we always deliver the best solutions according to our client requirements. Our happy clients are the core possessions that embellish our business to skies and of course, it’s because of the apt service given by us to our customers. Above we discussed about partnership with Fortinet, Cyberoam, WatchGuard and SonicWall, delivering Unified Security Management Dubai, UAE. Fortinet: Fortinet is one of the silver partners of VRS Tech. 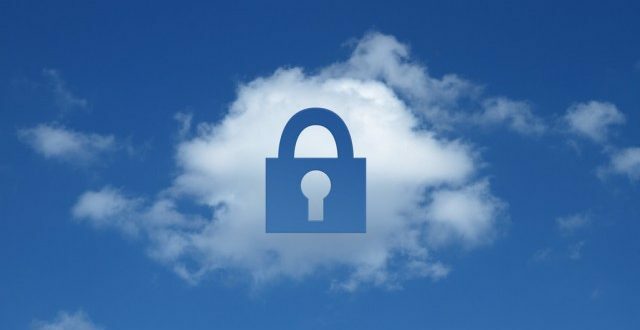 Fortinet is notified for high level securities and relinquishing its top rated UTM modules to the entire infrastructure (end-end points). Access of switches and wireless management is incorporated with support of single point. Efficient at providing, managing and securing solutions. Wide range of security solutions, IT compliances and services are deployed at ease. Cyberoam: Ensuring with evergreen UTM modules, Cyberoam is named to be our Gold partner. From connectivity to productivity, management to delivering robust connections of WAN, Wi-Fi, cyberoam is a best game player in serving UTM modules or solutions. Every small, medium and large enterprise can be customized accordingly with complete management authorities. Provides undefined solutions to endpoint data. WatchGuard: Another gold partner of VRS Tech, which connects all knobs at one node. Unified Security Management modules are fully secured under WatchGuard network. It lets the users to enjoy new way of experience with its security measures. Designed to operate on powerful firewalls. Vast speed driven compacts, even at working out on enormous scanning engines at once. Automatically detects threat and removes the entire file. Runs extremely fast, portrayed with great features and bounded with topnotch security levels and cost effective. Sonic Wall: Sonic Wall is our Gold partner and a well sustainable partner. It acts as gateway to eradicate Trojans and all types of viruses. Works with multi layered protection. Competitive performance in providing security. Prevention of intrusions and highly qualified content filterer. Finally, smooth access remotely and wireless connectivity’s. All the four are extremely responsive, ease of performance and effective. We bring them to you with best price and as per your business requirement. Services We Offer: VRS Tech offer multi services to its customers. Structured and fiber optic cabling: Availing strong network connections to your infrastructure by means of a modem and techniques relative to structured and optic cabling. Biometric Systems: Attendance tracking, thumb impressions and monitors necessary needs. Cyber Security: Our cyber security services undergo with high protective methods of preventing hacking, hardware/software damage and many more. Technology Consulting Services: Our passionate team of technical experts actively participate in providing career, technical and project guidance when needed. Data Recovery Services: Obviously we recover data from corrupted, crashed and inaccessible storage media. AMC-Annual Maintenance Contract: AMC is one of the most important contracts that an organization should vote for. It helps in planning regular operations in limited period. CCTV & DVR Service: Always be secure and make your business feel secured with our CCTV & DVR services. We serve reliably to multiple customers in Dubai, UAE. To know more about our VRS Tech services log on to our website. To know more about Unified Security Solutions or to request an order, give us a call on Ph No: +971567029840, VRS Tech Dubai, UAE/ or leave a chat request at our website www.vrstech.com.